Don't fall victim to its traps. 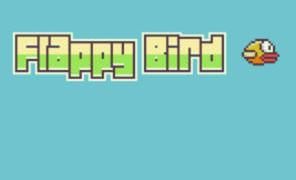 We have Flappy Bird tips to achieve a high score. Follow us on Facebook for more Flappy Bird shenanigans! Getting a high score in Flappy Bird is one of the most difficult things a person can do in life, next to becoming an astronaut and devouring sugarless Gummy Bears without succumbing to their ill effects. It is without question one of the toughest video games in existence, joining the ranks of other controller-chucking titles like Ninja Gaiden and Ghosts 'N Goblins; one could make the argument it's tougher than those classics. Just about everyone currently plays or has played it, including you. There's also a great chance you're terrible. Why can't you master Flappy Bird? It may have something to do with the following mistakes. Seriously, stop flapping, you flapping flapper you! Flap too much, and you're bound to graze one of those bothersome green pipes. Instead, you need quick and short taps. It's all about getting into a rhythm. Conversely, not pressing the touchscreen is a surefire way to send that tiny bird into a nosedive. Game over, please try again. Stop looking at your score, no matter how high or low it is. Bottom line, you need to look at Flappy Bird and the ever-changing terrain at all times. The score is unimportant, especially since you'll absolutely fall victim to the next problem. Flappy Bird only grows more intense the closer you get to the current high score. It takes roughly a second for the body to kick its adrenaline level into high gear. Before long, you'll become a sweaty wreck of a human being. A mistake is imminent. Don't speak to anyone while playing Flappy Bird. Don't move anything but your left/right thumb and your eyeballs. Don't swivel in your chair. Don't walk while playing Flappy Bird. If the phone rings, ignore it. It's just you and the game. Get in the zone. Blinking is perhaps the number three cause of surprise Flappy Bird deaths. Lubricate your eyeballs and resist the urge to do what comes naturally. Everyone needs to put Flappy Bird down eventually. We know, no one pays attention when Nintendo suggests taking breaks in its Wii U and 3DS games. Except Flappy Bird is a special breed of mobile game guaranteed to destroy your relationships, social life and soul if you lack the willpower to walk away. Put down the iPad or Android tablet. We say tablet because you don't have any business playing Flappy Bird on a smartphone. That tiny screen is just making it harder to succeed.